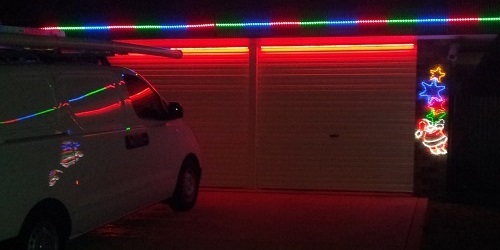 I had some RGB strip left over from another project, so thought I’d add some colour to my garage doors. 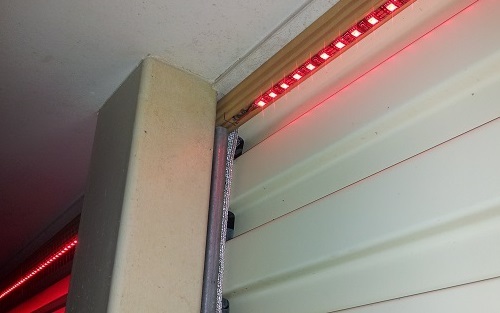 The strip is the 12V, 60 LEDs per metre type. Each one is driven from 3 channels of a DC controller. The strips were siliconed to lengths of pine (a little longer than the door width) and slotted into the gap above the roller tracks. A screw at either end secures the wood in place so it doesn’t rub against the door roll when fully open. 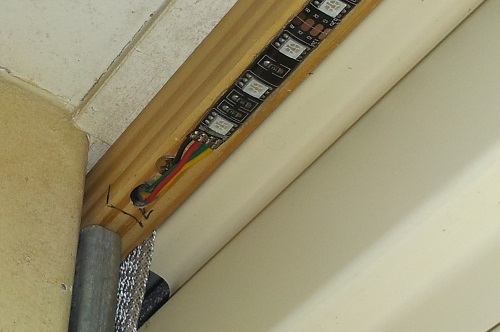 I ran the 4 core (security) cables through the wood and out the end on an angle to avoid fouling the moving doors. Installation was the same for both doors, just mirror reversed. The cables emerge from the back/end of the pine pieces and are routed down behind the middle post. 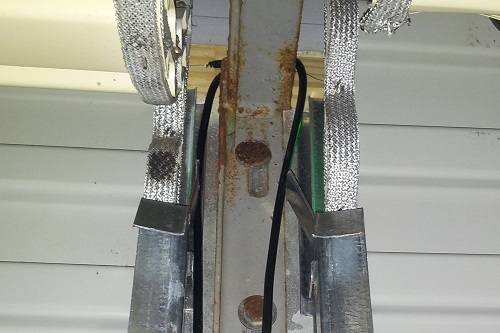 A few cable ties stop the cables from wandering too far and getting caught in the tracks.